The triennial event, organised by the Royal Agricultural Society for England (RASE), returns to Stoneleigh Park, Warwickshire on 24-25 May 2017. Promising a bumper display of machinery, live demonstrations and grass plots, along with timely advice and technical forums, the two-day event has something for every grassland farmer. 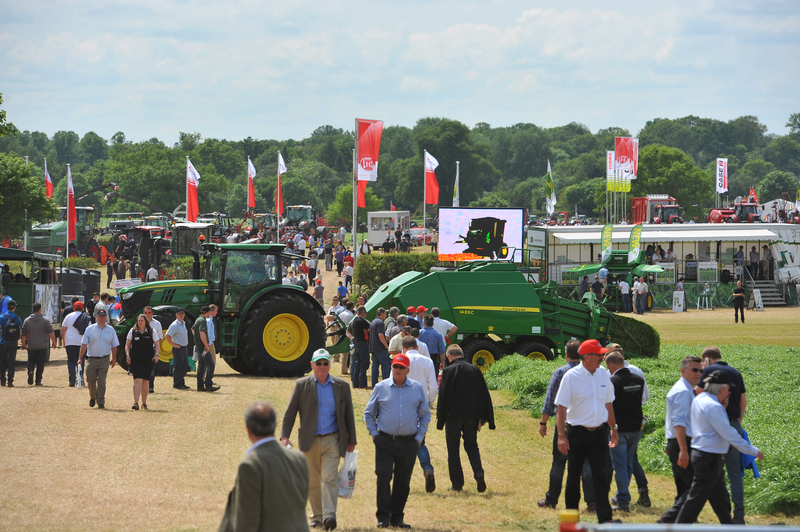 Next year promises to be just as fulfilling, with visitors able to get advice and see displays across the whole spectrum of grass management, from the latest varieties to relieving soil compaction, nutrient management, harvesting, ensiling, feeding and muck spreading. “It really is a vast site, with plenty of room to see machinery working: In 2014 we hosted more than £20 million of equipment and 76% of visitors planned to make a purchase as a result of their visit,” adds Mr Gardner. Precision farming is becoming increasingly common in the grass sector, and there will be plenty of new technology on display at the event. This includes new developments to Yara’s tractor-mounted N-Sensor to measure a grass crop’s nitrogen requirement and vary fertiliser applications accordingly, leading to improved production efficiencies. “Preparations for Grassland & Muck 2017 are roaring ahead, and stand sales are now under way,” says event organiser Alice Bell. 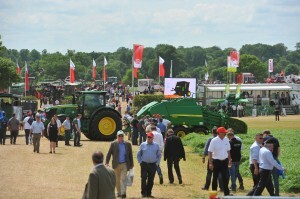 “With 92% of 2014 exhibitors planning to book at next year’s event, space is likely to sell out fast.” For more information visit www.grasslandevent.co.uk or contact 02476 858 284.